Hello Dealsnloot Readers, Now get Rs 15 free paytm cash from ZapStore. ZAPS TORE.COM is world’s only social cashback website. Through ZAPSTORE.com members can save on regular purchases at any of our partner retailers. To earn cashback, please ensure you click through to the retailer’s website via blue/orange buttons on ZAP STORE.com site.Also Get Rs. 5 Per Refer Paytm Cash Loot.So Grab This Loot Paytm Unlimited Loot Trick. Note : Use same number for verification which is registered with Paytm account.They Send Earning Cash Automatically With In 24 Hrs.Site Is Not Properly Work Due To Heavy Load So Try Again And Again To Open Site. 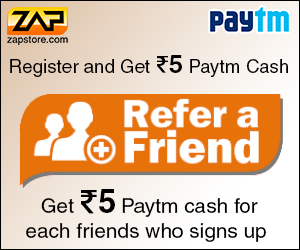 Now start referring your friends and earn free paytm cash. Click on Paytm Store and Now you see cash back details. Just click Get Cash Back Button You redirect to Paytm website. Now simply do recharge as you normally Do. 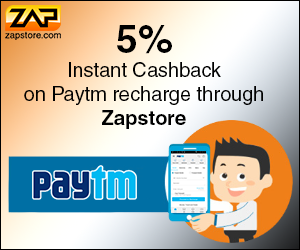 After successful recharge you get 5 % cash back in zapstore account. You can use this to amount to buy anything. Friends ! 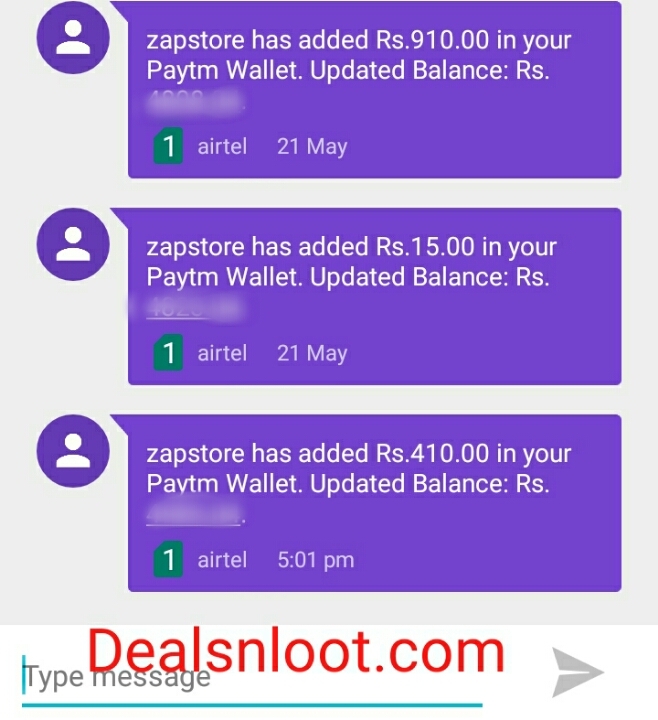 imagine you weakly recharge Rs 100 and you Get 5 % cash back i.e is Rs 5 and in each month you can save Rs 20 that is big amount So when ever you going to recharge use zapstore and earn big cashback along paytm flipkart amazon etc.So Hurry !!! Grab Loot Cashback Offer.